Slice the bananas and freeze overnight or until firm. Place the bananas into a food processor and blend, scraping down several times until the bananas have turned into a creamy puree. Add 2 tablespoons of honey and mix until combined. If using ground cinnamon, add now. 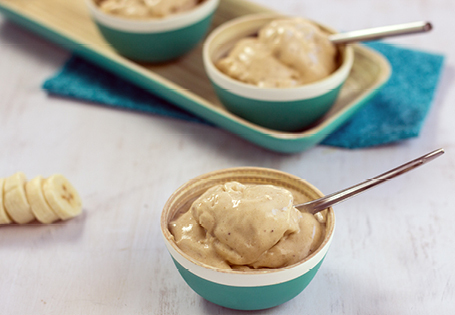 Serve straight away for a creamy, delicious ice cream or refreeze for later. TIP: The ice cream will be a little icy if eaten later.